James Jacques Tissot (1836-1902), French painter and printmaker. Artist of 66 portraits. At the time of this caricature, Abdul Aziz was under pressure from European powers seeking to establish an influence in his domains. 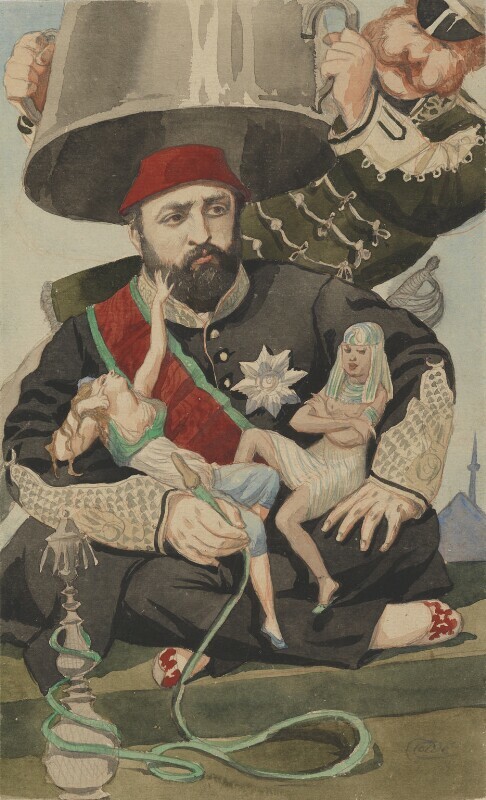 The Sultan is shown holding personifications of Greece and Egypt, as a European figure prepares to seize him. A political cartoon as much as a caricature, the magazine did not repeat this approach. The accompanying text ended with a prescient warning: 'it will be well, not only for Turkey, but for Europe, if …the Sultan becomes master of his own house'.